Matching to the requirements of the customers, we are involved in offering unmatchable quality of AC Street Light. 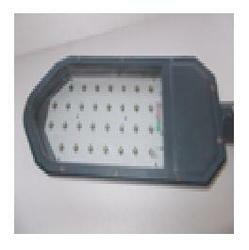 The offered AC Street Light is extensively used in an LED street light with the IC mounted on the LED circuit board. Moreover, the offered AC Street Light is available in different elegant deigns and sizes. Asraya Power Private Limited has commenced its business as a manufacturer and supplier, in the year 2013. The company is involved in offering a wide assortment of Solar Submersible Pump, High Pressure Sodium Street Light, Solar Water Heater, CFL Street Light, AC Street Light, DC Street Light, Solar Panel and Street Light. We also offer reliable Solar Power Plant Service to our clients. Designed by trained professionals, our entire gamut is applauded among customers for their utmost perfection. We use premium quality raw material for developing these products, which we obtained from the dependable market sources. Furthermore, it is our uncompromising attitude towards the products’ excellence that we have gained appreciation from clients that are based across the nation. We incorporate advanced methods of production, just to keep ourselves in pace with the challenges of industry as well as enhance our production capacity. Besides, our dedicated approach towards satisfying clients immensely has enabled us providing desirable solutions to the clients and in turns getting their maximum support. In order to make hassle free monetary transaction, we provide various options to our clients for making payment.